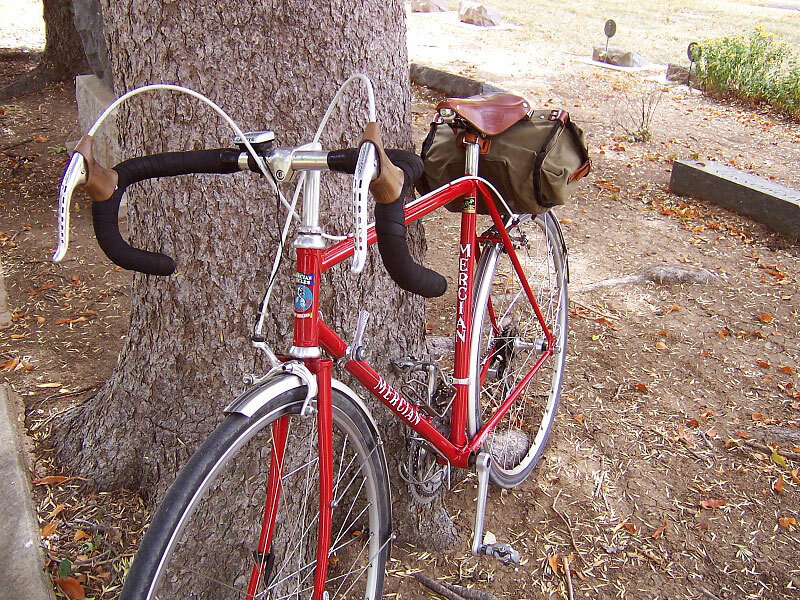 This is my 1980 Mercian Olympic, purchased from The Spoke in Boulder, Colorado. 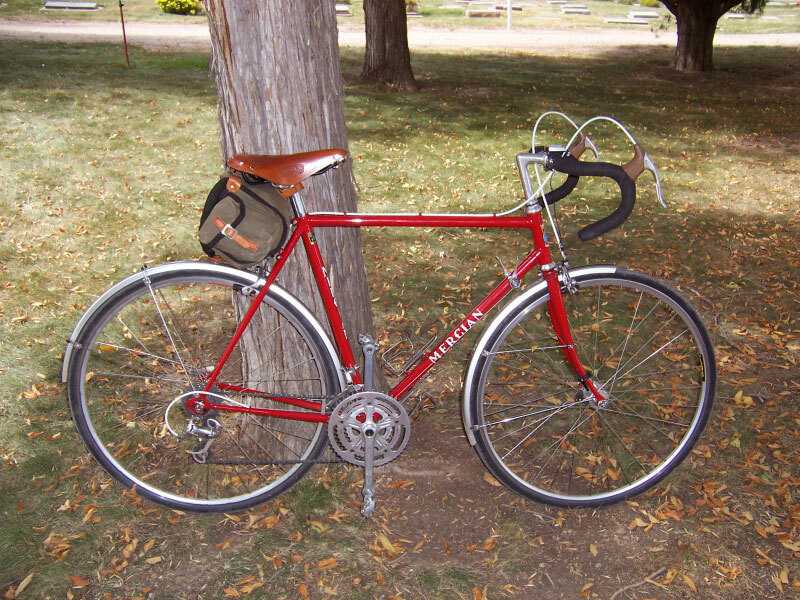 The Olympic was Mercian's entry-level frame, nothing fancy, but all 531 db. 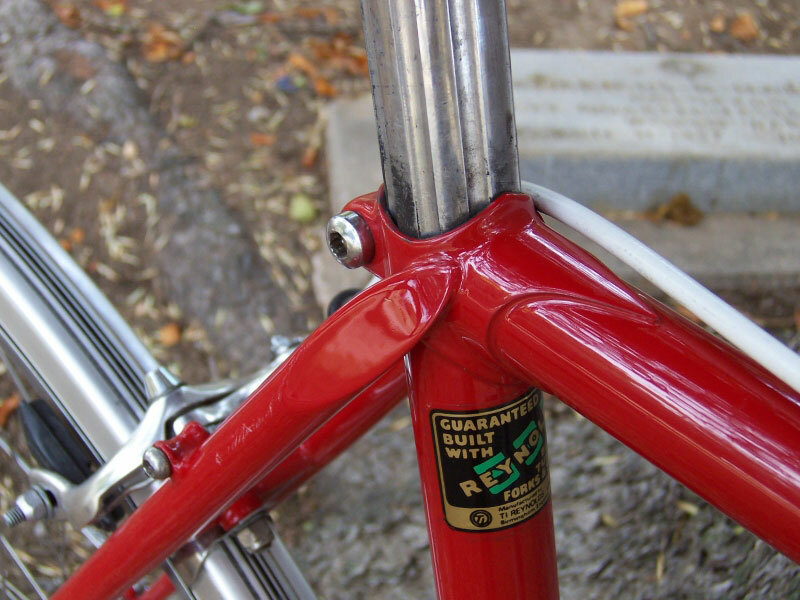 The importer specified a few extra braze-ons, and I had the frame repainted, spread to 126, and additional braze-ons added in 1990. 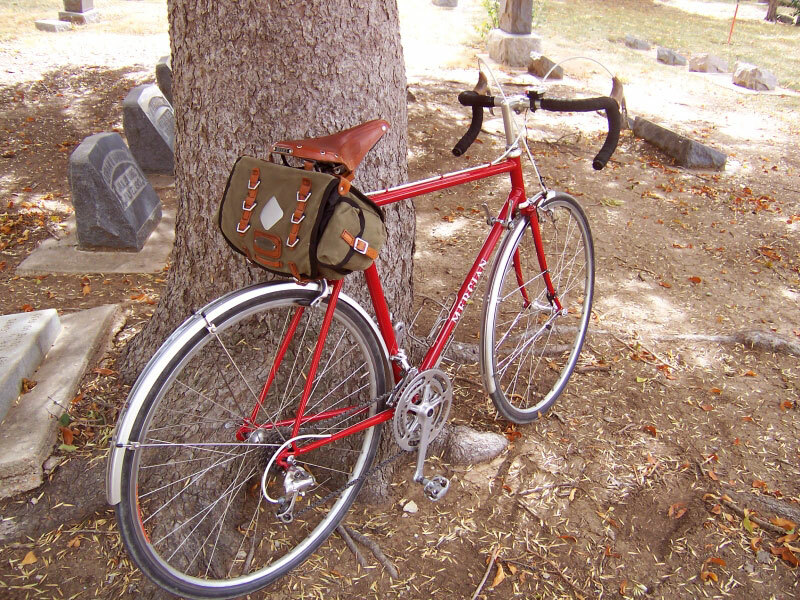 Over the years it has been used for loaded touring, commuting, day rides--you name it. It spent about 8 years in the garage rafters, having been superseded by a Cannondale T700 and a Rans V-Rex, before I resurrected it in 2005. In 2006, I had it powdercoated by Spectrum Powderworks, then applied the transfers myself. 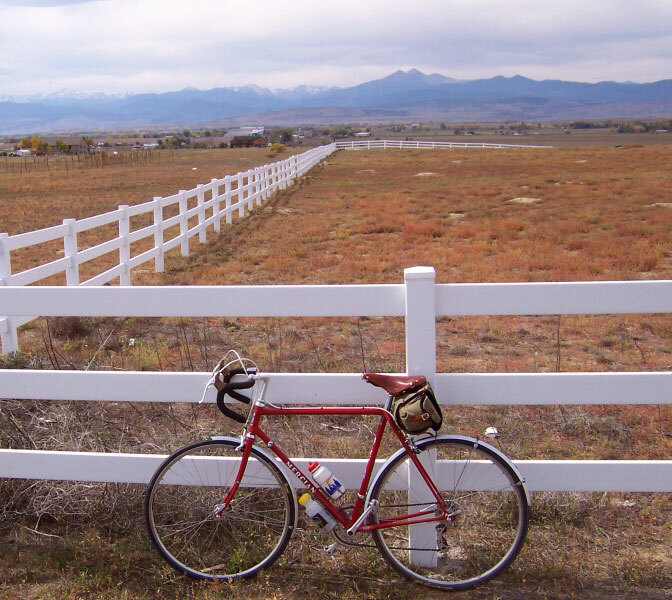 Now I ride it often, commuting to work and taking day rides in the country. It would make a fine light touring bike, but for loaded touring, I have to say the Cannondale and Rans are both more stable and take wider tires.